10am flight cancelled. Got on the 2pm flight. Spent the intervening time at an airport that qualifies as "international" only because of occasional flights to Toronto reading, sort-of napping and listening to Christmas music that wasn't as annoying as it could have been. Thankfully the rotation was over an hour long. But what was most amazing were the repeated requests that passengers return to the security checkpoint to pick up shoes that they had left behind. Umbrellas I can understand easily. Laptops are more tragic, though similarly understandable. But shoes? How do you just walk off without your shoe? More amazing are the people who seem to walk off with one shoe but not the other, though this could be the TSA employees not bothering to look around for a mate. The women in Starbucks aprons would sell me a bagel with cream cheese, but had no answers. They weren't in fact even that interested in the question, prefering to discuss the woman who recently tried to put a baby through the x-ray machine at another airport. I told them I saw a woman put a cat through an x-ray machine once. They were unimpressed. You may remember that a few months ago I posted this video of Lovers Electric on Shoup. For those of you who live in New York, I highly highly recommend that you check out one of their four upcoming FREE (with a drink) shows in the big apple. If you want to hear more of their lovely music, they have four songs posted on their myspace page. I'm trying to convince them to come to Chicago. If you live in Chicago and would like to go see them, leave a comment on their page like I did. Strangers are more effective than friends on this one. In case anybody wants a copy of my 20-minute film, Corduroy, we just got DVD copies that are selling for $10. The money goes toward the funding of Bitesize Shorts's next film project. I thought Google wasn't up to much these days, and then I realized that it is hard at work shaping our digital future... in Europe! With greater broadband penetration and all-digital cell phone networks, it is apparently an ideal place to try out new ideas and technologies. Like what? Targeted ads on your TV based on your AdWords-determined profile (receive a message from your mom about "Bermuda vacation" in your Gmail and you'll get served an ad for flights to Aruba during 'ER' that night) and enhanced phones that "hold the Internet in your pocket" (coupled with a GPS phone, this could use Google Local to automatically tell you what restaurants are in your area). I guess that's it, really. It was just good to know that they are still out there organizing the world's information and making buckets of money. I found a stink bug in my bed. Do you think it was trying to tell me something? KURTZ: They [the Iraq Study Group] also said the policy is not working. SNOW: No, what they said is that you need a new policy. Hopefully by the end of today, I will be almost completely moved in to my new home... Dam Straight! I'm finally getting off campus!! woo! oi... really weird thinking that this spring is my last semester.. I think I should probably start looking for something to do come fall. kickass cities? jobs? ways to waste time before I have to feel like a "real" adult? Okay Baltimore, you win. I've had a crush on you even since "Homicide: Life on the Streets" anyway, so it's about time we met in person. How about dinner and a concert on January 5th? Perhaps I could even spend the night? 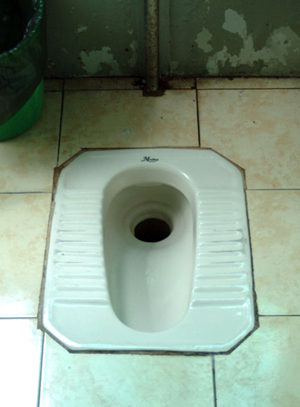 We could go squatting, maybe! Let me know, and thanks for the invitation. Josiah: I'm glad you're not shot. Jules: Sorry, I wish I was smarter with those. If you collect more, you could share them on Wordie.org (like Flickr, but with words). Eh! Snow won, she. That's all I got. So for those of you who might be paying attention to these things, no need to worry. I wasn't shot yesterday. But man, it's tough times here in Big Shoulders, this not being the first time for something of this nature. Dude. "level" is a palindrome! Let's come up with more palindromes! quite obviously, nyc in far cooler than the city of baltimore. Therefore, all should come to live in this happy place where everyone smiles and everyone wins! Speaking of winning. Last night I was faced with an oregon-trail-esque choice between biking head-on into a wall on the brooklyn side of the manhattan bridge or diving diagonally down several flights of stairs. This predicament was created by the bike side of the bridge being closed and the walking side being very underlit. I opted for the former and found myself with a smashed head-set and a numb left arm. This morning, however, all is well. Although it is freezing cold. More good news: I landed myself a job as a mechanical engeneer (I made up that title myself) with the art department on a photoshoot. It's amazing what a basic knowledge of simple machines and knots can get you. Sweeet! Maybe I've found my new calling in art! unfortunatly, the day after that I'll be back to gaffing something upstate with an awesome DP from LA, so I guess my days in art department are numbered. oh well. you're not coming to baltimore? is it because our washington monument isn't as big as the one in dc? because our steaks aren't as cheesy as the ones in philly? because we have less mennonite colleges than harrisonburg? less pennsylvania dutch than lancaster? less hipsters than new york? whatever the reason, your friends mike, kate, julia, and stan do hope you can find a slot on the itinerary for baltimore, charm city, the greatest city in america, home of the ravens and orioles, where babe ruth was born and edgar allen poe died, where the crabs are plentiful and the natty boh flows freely. believe. 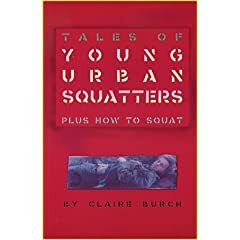 Anyone know any good resources for learning about squatting in the U.S.? Anyone actually done it? I'm starting to get curious but most google searches come up with things like "Tara Nott's insider weightlifting tips on proper squatting". It was good times, and I feel more or less okay about being old. 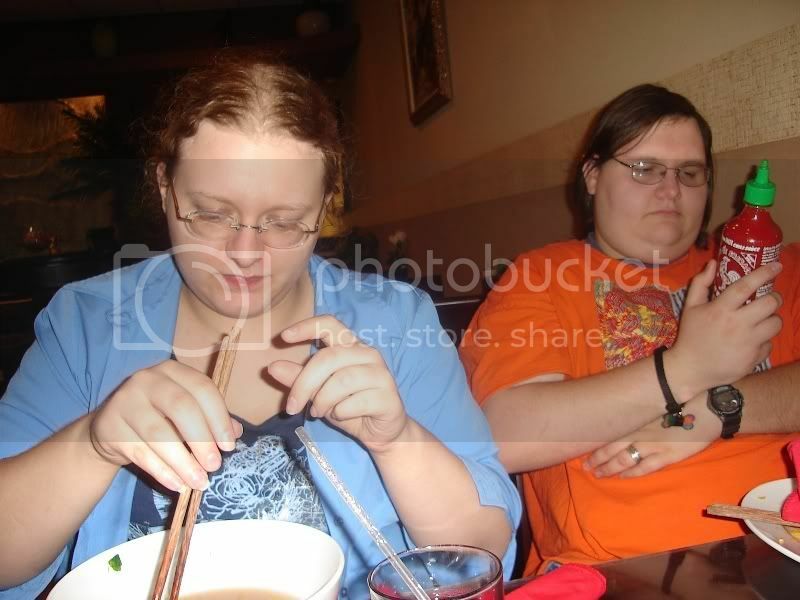 Also: Meg, I think Blogger ate your DP/pants post. And will you be home in early January? Over Christmas break I'm hoping to see friends in Lancaster, family in Philly, Beachys in H-Burg, do-gooders in DC and you in NYC. Let me know! If anybody happens to be around the area and wants a theater fix, feel free to come to New World this Thursday, Friday or Saturday night at 8 P.M. And if you want to come a half hour early for free champagne and appetizers, you are more than welcome to do so. - tell off Ben Herendeen. - cry like a baby. - have a British accent. gah, no one is posting!!!! 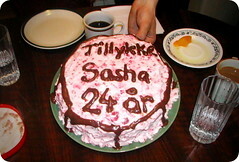 and HAPPY BOITHDAY to SASHA already! 24, macaroni, i want a pony. Visit ckut.ca for mp3s of recent shows, or subscribe to the podcast in iTunes or odeo. And feel free to send feedback and/or ideas to healthonearth at gmail. We have many more shows to plan, and we'd love to hear what you think!